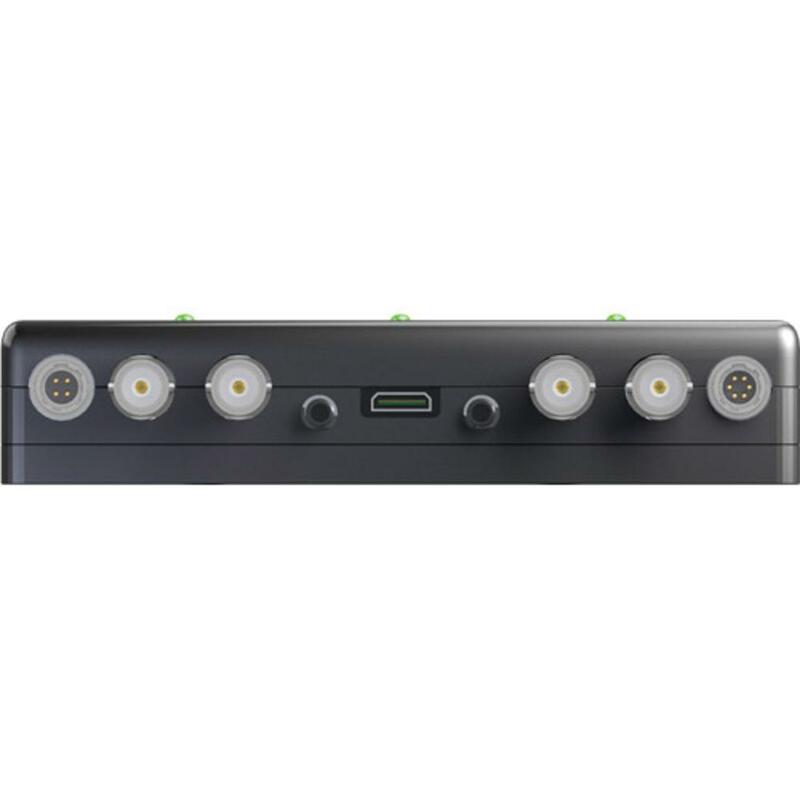 The Convergent Design Gemini 4:4:4 Video Recorder can record 12-bit RGB 4:4:4 uncompressed from cameras that output 12-bit and 10-bit uncompressed 4:4:4 video as DPX files to up to (2) SSDs, which are included. 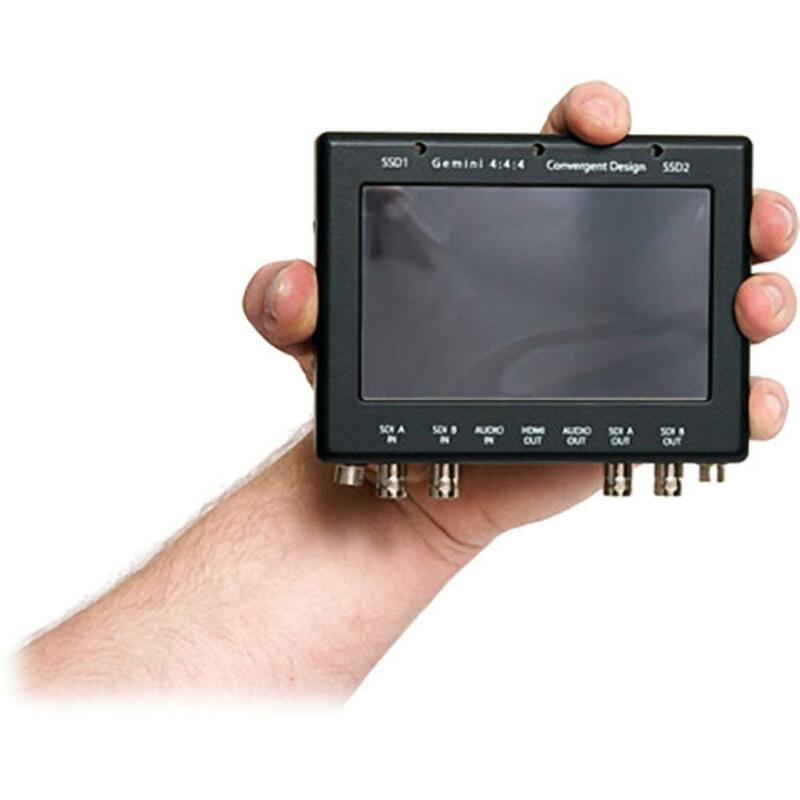 At only 5.4" x 4.5" x 1.1" and 1 lb, this is an extremely portable recorder and features a built-in high-brightness 5.0" 800 × 480 24-bit LCD touchscreen for monitoring and playback. 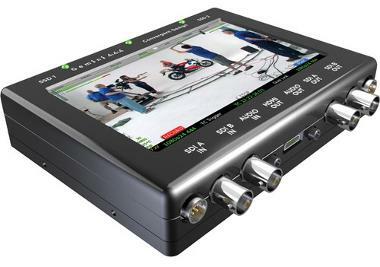 Other features include S-Log support with user-programmable viewing LUTs, simultaneously recording of native S-Log video to one SSD and the same footage with burned-in LUTs to a second SSD, and a low power draw (8-15 watts). The footage from the Gemini 4:4:4 can be easily incorporated into virtually any workflow using your favorite codec or as native uncompressed DPX sequences. 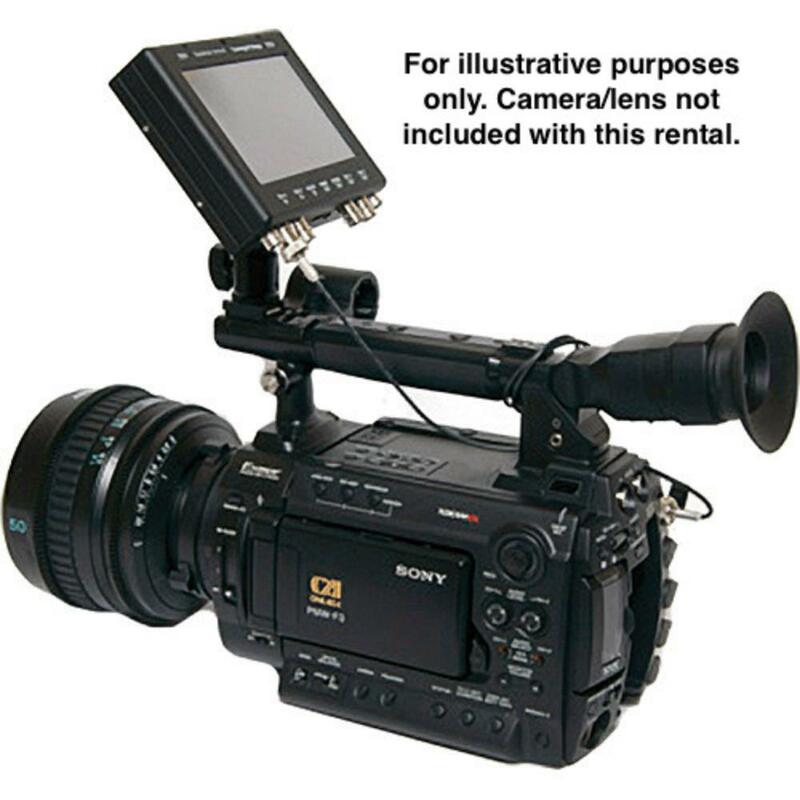 It is ideal for monitoring and recording footage on setups where weight and size are a concern. • This recorder comes with (2) 512GB SSDs, which will record up to 66 minutes at 1080p24 (4:2:2) and up to 44 minutes at 1080p24 (4:4:4). • Compatible with Avid, Final Cut Pro, Premiere, Smoke, Flame, and DaVinci. • Dimensions: 5.4 x 4.5 x 1.1"